the summer months, even in the hebrides, offer moments of glory when short sleeves and bibshorts might be worn without recourse to hypothermia, but those days are, as you may surmise, few and far between. and though many spend their winters longing for such unremitting joy and opportunity, i tend to favour the months that we currently inhabit. yes, i will admit this could be seen as a trifle odd or eccentric, but the bicycle wants what the bicycle wants. since winter in the hebrides owns a greater proportion of the year than does summer, my cycling wardrobe features a far greater number of long-sleeve baselayers, fleecy-lined long-sleeve jerseys and a veritable panoply of water and wind resistant jackets. in my estimation, you can never be over prepared, particularly when heading in the general direction of the north atlantic. 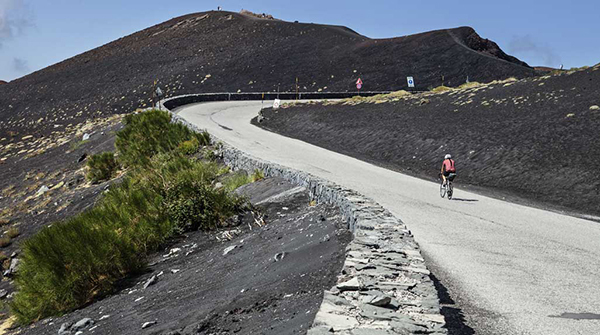 until castelli, endura or rapha invent the force-field, it is our birthright to be dressed to the nines in bib-tights, merino collars, thermal gloves, winter jackets, belgian caps and thermal, waterproof overshoes. 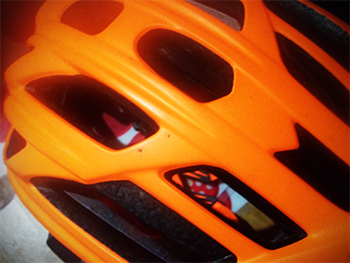 these are all items for which the average and not so average rider can be eternally grateful. and when it's time to put them on, they're always inside out. even on mornings such as that which arrived on christmas day, when temperatures were far more favourable than those of chirstmas eve, being overdressed in the manner of a mobile sauna, offers a certain comfort not to be lightly dismissed. there is no denying, however, that all this leads to a level of faff above and beyond the regularly propitious. common lore would have it that the finest method of preparing for several dozen kilometres midst inclement weather, is to lay out all that is required on the previous evening, lessening the opportunity to become meteorologically recalcitrant in the face of adversity. i cannot deny that so doing is something of an eyeopener; aside from the apparel mentioned above, needs demand shoes appropriate to the pedals, eyewear, coffee money, a water bottle, lights, garmin (festive 500 dependent), mini-pump and in my case, a decent sized compact digital camera. i surely cannot be the sole individual who finds it of greater effort to pull on those overshoes than that required to complete the day's bike ride. it's as well that the designers employed by the world's leading cycling garmentists are well-acquainted with the concept of on-the-bike-fit, for thus clad, i have little doubt that the neighbours are, this minute, comparing me to star wars' c-3po. it's almost a relief to have the garmin acquire the satellite for which it has been searching and head off into the early morning gloom. that leaves plenty of time to ruminate on the faff that will subsequently accompany the ritual disrobing prior to a hot shower. soccer, as i've digressed upon frequently over the past twelve months, is probably the most invasive of sports. even as i sat yesterday morning, fitting new ritchey cleats to the soles of my cyclocross shoes with a stream of christmas movies on the tellybox, every advert break brought me the cheering news of just how many live soccer matches i could watch, if only i had been foolish enough to subscribe to sky sports. though such advertising may be annoyingly common for all i know, midst the inevitably bizarre adverts for women's perfumes and more conventional slots promoting unnecessarily large flat screen tvs, they sort of stood out. probably the ideal situation for sky, but a tad repetitive for those of us with no interest whatsoever. the principle that these matches are to be broadcast live would appear to be at least one difference between them and us. during the years i was a member of islay pipe band, practices were generally held in the island's gaelic college on a tuesday eve. for at least the first hour or so, the two components of the band would separate into different rooms, pipers awkwardly playing through each and every tune under present consideration and the more percussive members sat with rubber practice pads incessantly tapping out paradiddles, rolls, flams and other arcane rudiments. later in the evening, the latter division would stand increasingly impatiently awaiting the appearance of the pipers from their inevitably lengthy tuning preparation. once all was over and done with, we would form our usual anti-social circle and hammer out an approximation of our scottish musicality. however, the salient problem relating to the above weekly convention was that it took place on a tuesday evening. apparently, that was the evening on which live broadcasts took place involving one of the favoured teams of a portion of the piping section. you would think that modern televisual technology would have obviated the need for this regular absence from band practice. so far as i'm aware, a sky hd box allowed the recording of any particular programme on any channel falling within the individual's subscription, a feature that i was keen to point out to those likely to be missing in action. the singular retort to my well-meaning helpfulness was that the match had to be watched live, apparently in fear that some malicious or innocent person would advise them of the score before they could make it as far as their own television. avoiding such seemed to me to be simplicity itself; surely a simple matter of driving home post band practice with the car radio switched off? at this point, the house of cards always took a tumble, for even in the face of such logic, more spurious reasons were invented to justify a seemingly enforced absence from the march, strathspey and reel. it would appear that excuses such as those proffered above pertain predominantly to soccer aficionados. 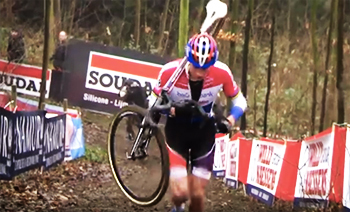 due to various weekend tasks for which mrs washingmachinepost would not allow an absence, i was unable to sit rapt with enthusiasm at last sunday's live cyclocross broadcast on the uci youtube channel. 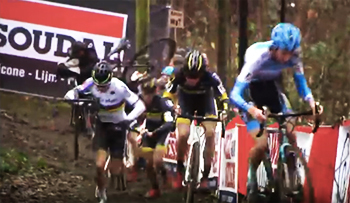 but, as we all know, the uci subsequently place their recording of each and every round of the world cup series online, to be watched at our earliest convenience. with the inevitable trials and tribulations of the week leading up to christmas day, as of writing, my convenience is still to be discovered, but nonetheless, i am still more than happy to eventually watch the event several days after it took place. though a particularly enthusiastic supporter of 'cross, but perhaps a tad less fanatical than the pipers whom i have denigrated above, i studiously avoided twitter on both sunday and monday to avoid learning the result and soon mud, sweat and gears will be mine to enjoy at a time more suitable to a fellow obviously far more importantly occupied at the original point in time. 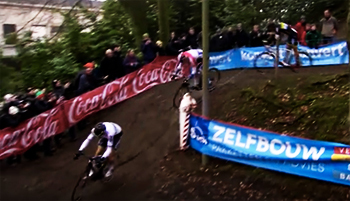 and i will now be ignoring subsequent e-mail in case any of you try to undermine my cyclocross innocence by subterfuge. it's possible i may have dreamt this, but i'm sure i have recollections of a bicycle lubrication system which continuously dribbled oil onto the chain as both rider and weather did their level best to nullify its lubricating effects. if this was truly a real thing, i believe the lube won. as well it should, in order to offset the undoubted faff and added weight that such a contraption undoubtedly imposed upon the average bicycle. to my mind, it compares as disfavourably as the remote key access provided with all new motor cars. how hard was it really to turn a key in the door lock? i did, however, once review a pre-lubricated chain, obtainable at a considerable price premium over the more standard offering. according to the accompanying literature, this impregnated lubricant ought to have lasted in excess of 1000km, but long before i made it to 800km, the squeaking had driven me distractedly to the more usual practice of dripping a solitary drop of lube on each chain roller. yes, life really is that simple. i will, however, confess to being something of a traditionalist, no matter the manufacturer's protestations on the label. when i was the not so proud owner of a raleigh twenty shopping bike (an excellent choice, if each morning was occupied with delivering newspapers), my father had impressed upon me the need for regular and preventative maintenance, a weekly routine that mostly achieved what it set out to do, apart from a constant slipping in second gear in that sturmey archer hub gear. prior to the arrival of the wide variety of synthetic lubes available today, the sole option to keep the chain from squeaking was via a small can of three-in-one oil. this too was to be dripped a drop at a time onto each chain roller before a quick wipe with a rag to remove any excess. i still find this the most efficient manner of oiling a chain, but the higher viscosity of many current options has had me occasionally miss out every second roller in order that the chain not become over-saturated. 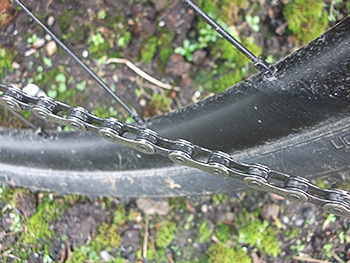 as i may have mentioned once or twice before, i have a curious predilection for a clean, shiny chain, something that several wet lubes seem hell-bent on preventing. i will gladly accept that, despite this propensity to create a mucky chain after only a few kilometres, the chain is possibly in far less danger of suffering untoward friction or even corrosion. but really, i'd prefer it do so in cleaner fashion. the only lubes that seem to adhere to such sparkle are the so-called dry-lubes and in the hebridean months between september and april, those are a less than auspicious choice. wickens and soderstrom, a company that still sounds more like a legal firm than those offering bicycle care, have augmented their well-respected drivetrain lube no.5 with a product bearing the number three. according to w & s, its constitution is made up from 'oils, waxes and micro particles' all of which combine to provide reduced friction, reduced vibration, less noise but greater protection against dirt and moisture. additionally, wickens and soderstrom portend, it cleans as it lubricates. in order that one lubricant might not be responsible for the affectations of another, i made sure that the chains on both the specialized crux and the colnago master were suitable degreased, cleaned and dried prior to application of lube no.3. on the crux, i applied a drop to each roller, while the colnago benefitted from half as much; only on every second roller. i have no scientific means of quantifying the efficacy of any chain lube, other than the subjectivity of the rider. i'd be lying if i said lube no.3 offered the benefits of increased speed and a lightness of pedal courtesy of the promised reduced friction. however, it does appear to have a tenacity that keeps it stuck to the chain even in the face of heavy precipitation which is always a welcome trait in any chain lube. as to the self-cleaning feature, this was less readily apparent. in fact the chain rollers were a liquidy black after only seventy cold kilometres. as with many other chain lubes that preceded the wickens and soderstrom, a gentle wipe with a rag cleaned most of that away, but so far, each ride has ended with the chain in similar condition. however, unless you have a similar level of chain ocd as yours truly, this is scarcely a tangible problem in need of a quick fix. 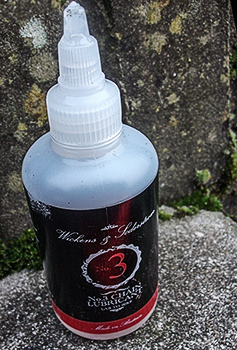 at a cost of around £8 for a 125ml bottle, wickens & soderstrom no.3 chain lube is a cost effective means of keeping the bicycle running smoothly and relatively quietly. in other words it does precisely what it says on the tin; well, apart from the cleaning bit. in 1965, owen maclaren designed a lightweight, collapsible stroller (kids' buggy) that made him a household name. his 'real' job, prior to this invention was designer of the spitfire's undercarriage. over the past week, i have passed this information onto several less than interested persons, not only because i could, but because i thought it one of those fascinating facts that might just come in very handy should they ever find themselves in the midst of an islay pub quiz. oddly enough, that seems not to have made this gem of information any more interesting. following on from this fascinating nugget in the brooks compendium is further elucidation as to the inventor of the first bank cash machine (john shepherd-barron in case you're interested). 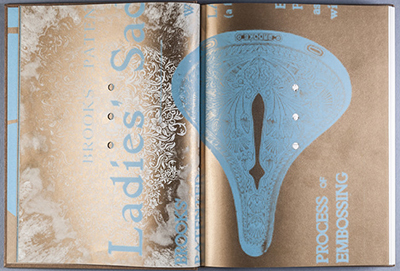 i offer this information lest you think a rather finely bound and illustrated volume entitled brooks compendium will simply be a never-ending gallery of leather saddles. just to prove that i may need to get out more often, i'd have been quite content if that had truly been the case, but presumably to appeal to more than an audience of one, editor guy andrews has curated an exquisite selection of images, stories and features, including that of great british ingenuity from which the opening gem was gleaned. were i pushed to make a single criticism, it would centre round the opening gallery of almost abstracted illustrations which extends to eleven spreads. personally speaking, as a former art student, i find them a quite congruous combination of the old and new, but in general terms it's perhaps not the ideal way to introduce the book to those expecting a more traditional state of affairs. however, matters are more clearly explained in the preface on page 16. "This book is not solely about Brooks. It's about the world around Brooks, the world we get inspired by and the world that we endeavour to inspire with our products. In the following pages you will not read and see much about Brooks, only indirectly...". for though brooks saddles (apart from the more recent cambium range) are still produced in smethwick's downing street, the company is owned by selle royal of italy, having purchased it lock stock and leather from pashley fourteen years ago. the story of john boultbee brooks having his horse die and borrowing a particularly uncomfortably upholstered bike which pushed him to invent the original leather bicycle saddle is quite well known. 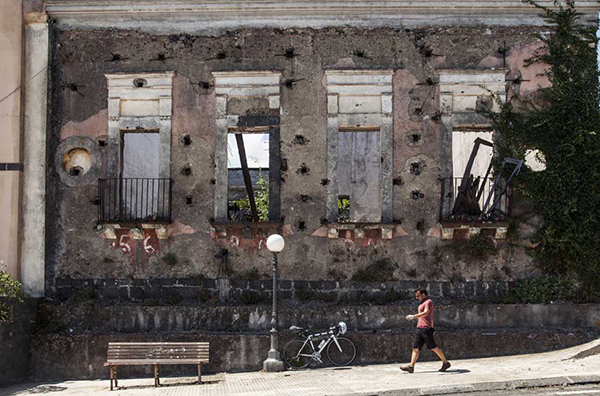 what is perhaps less well known is the more recent story of selle royal's riccardo bigolin. not only is his more recent history brought to light in the very same preface, it is almost comforting to have brooks' brand director, andrea meneghelli quite freely point out that the company is no longer british owned. this in comparison to many an islay distillery that would prefer not to admit that many of those casks of the amber nectar are matured in a glasgow warehouse as opposed to one sited by the shores of loch indaal. however, as the preface states, this book is not specifically about brooks; inference is a wonderful bedfellow. 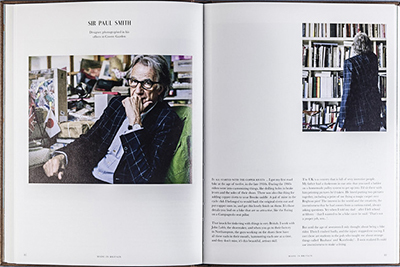 contributions from the great and the good are in pleasant abundance: bella bathurst, jack thurston, mr andrews along with david millar, joe hall and the inestimable geoff dyer. 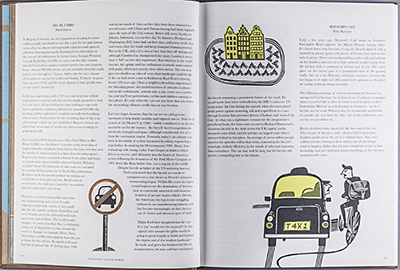 illustrations and imagery also abound, creating one of those books that will take pride of place in any library, whether cycling specific or otherwise. 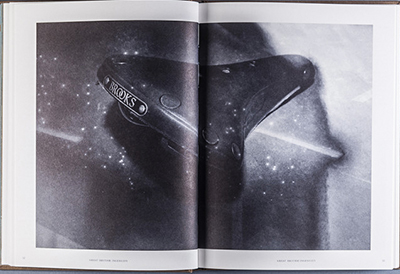 in fact, from the point of view of those snippets of british ingenuity and brief interviews with such as sir paul smith, simon mottram, will butler adams, timothy everest and others, there's questionable need for the potential purchaser to even know what a brooks saddle is in the first place. but the best bit is the book's less than ostentatious presentation. it might not be too untoward to expect the italian owner of a british company to perhaps over-egg the pudding when it comes to a display of 'britishness', or to less than subtly infer more italiana than strictly necessary. 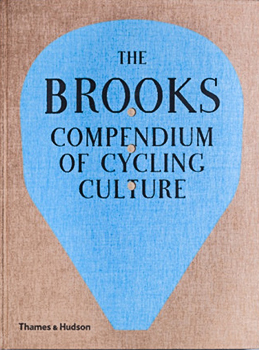 in the brooks compendium neither is the case; yes, there are the british interviewees, yes, the british ingenuity chapter and yes, an image gallery of brooks employees and believe it or not (and worth the price of admission alone) fausto coppi at the royal albert hall. but the only reason those now appear to stand out, is because i've reviewed it that way. aside from the book's beauty as a prized object, it takes the form of a highly desirable magazine with hardcovers, one that bears repeated reading or viewing. where else would you find velocipedinal delights such as a cycling double bass player alongside marcel duchamp and john logie baird? 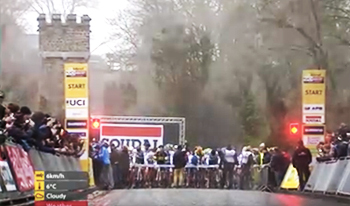 "The future for cycling looks brighter - more fun, more glamorous and more popular - than ever, as more and more people realise that car cutlure is dirty, noisy and doomed." geoff dyer. for a moment, indulge me in a short period of hypothetical drama in which any resemblance to persons living or dead are purely accidental. having worked (after a fashion) all week, come saturday, i have the day off, followed by the very next day in which similar circumstances apply. with no pressing need to find my way to the office for a day of sitting in front of a computer screen, i remain in bed until it becomes necessary to arise because it is becoming harder and harder to fall asleep once again and i really need something to eat. after all those morning and perchance afternoon hours tossing and turning to the sounds of radio four, a full, cooked breakfast seems in order. after all, it is past lunchtime and i'll need to eat as much as possible before tea-time. fried potato scones, tomatoes, vegetarian sausages, a few sheets of toast, coffee and maybe a mouthful or two of cereal, while lying prostrate on the sofa ought to stave off any hunger pangs until i can devour a pizza and bread and butter pudding in the early evening. aside from more coffee and some biscuits and fruit cake during an evening's tv watching, i figure i can probably starve myself until a supper of toasted cheese and a half bottle of coca cola prior to bedtime. i'll take the remainder of the bottle to bed in case i get hungry overnight. yes, i'd love to have taken a walk to the newsagents, but where does the time go? i must strenuously point out that, in point of fact, my saturdays are nothing like this at all. aside from the fact that i generally do make it to the newsagent's, that particular journey is normally preceded by a lengthy bike ride. that's because my opening scenario offers so many opportunities for criticism, that it's one that i shudder to think would ever become reality. lazing about all day after a late arising, eating little other than fried, sugary and fatty foods is a recipe for physical and mental disaster and i like to think that my intellectual abilities will forever prevent me from descending to such depths. however, i am not naive enough to ignore the fact that there are people in this world who would find my hypothetical scene setting as quite normal. with few exceptions, it seems highly likely that such individuals would respond only to financial incentive to leave such a lethargic lifestyle behind. it is more than possible that no amount of persuasion based on the grounds of health and fitness would be sufficient to reverse such a personal trend. but i'd be willing to bet that even those for whom cycling is not their number one obsession would recoil at the likelihood of their own lives inhabiting my hypothesis. in short, most of us have enough savvy to make the distinction. which is why i received the news that the mayor of london has appointed a 'commissioner of walking and cycling' with a scarcely concealed wtf? that question mark morphed into an exclamation mark on discovering that the appointee (a former nike executive) would be on a salary of £96,000 per annum. and unless i'm very much mistaken, his remit will extend only as far as the boundaries of greater london. those of us in the rest of the country, despite quite possibly being responsible for contributing towards his generous salary, can go take a flying kite to ourselves. my latter point, be as it may, surely does not excuse the fact that the commissioner's responsibilities mostly concern "playing a transformational role in improving our health and happiness, and building better communities for everyone." according to the great and the good, his appositeness for this newly created position rests upon "a proven track record of getting people from a range of backgrounds active." presumably on the basis that we are too stupid to realise this for ourselves. some years past i was asked by argyll and bute council to design and write a leaflet outlining the dos and don'ts of cycling on islay, a leaflet i am glad to say has been not only well-received, but already reprinted. the downside, observed at first hand, is that those who bother to read the publication in the first place, are the very cyclists who tend to obey the unwritten rules of riding on narrow singletrack country roads. those whose behaviour could reasonably be called to account, are the very folks who think the advice contained within simply does not apply to them. 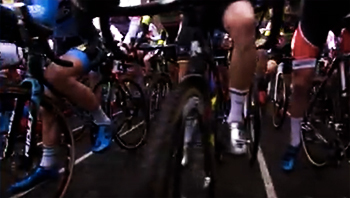 i tend to think much the same will befall the strategisms of the new, well-paid cycling commissioner, even though i realise i am guilty of pre-judging a man who has yet to get his feet behind the desk. nobody said i couldn't be cynical at christmas, but i eagerly await my own appointment at a similar level of remuneration in an attempt to do likewise for the population of scotland. surely it's only a matter of time? from a drummer's perspective, there is little better than a drumset with pristine white drum heads which have yet to feel the full force of a drumstick. as with bicycles, we all have our preferences; personally, i find great favour with the coated heads, rough enough on the surface to allow for a modest amount of playing with wire brushes. the white, shiny plastic of their brethren are all well and good, but sliding a brush across the surface does not bring forth the sound of tactility that would please many a pianist, saxophonist or bass player. however, it is an inescapable fact of percussive life that wire brushes, particularly when new, take not very long to leave a dark grey stain upon that virgin whiteness. over the march of time, these marks can be worn as a badge of honour. rather obviously, well-marked drumheads are the drummer's secret handshake, advertising either a strict and busy practice regime, or even better, a remarkably full gigging diary. the recently held series of pasic (percussive arts society) concerts and clinics were populated by often sizeable, but remarkably brand new drumsets, no doubt supplied by each drummer's sponsor to be shown to their best advantage. those mostly featured the whiteness mentioned above, though on occasion substituted with black (why would you?) or even less attractively, clear. but if i might return to the white coated versions for just a few moments more, repeated playing with sticks of varying densities eventually results an the coating beginning to wear. once again this can be justified by either of the aforementioned excuses, but to my mind, it's not always a particularly good look. a bit like riding with armwarmers that fail to meet the sleeves of your cycle jersey. ultimately, a set of coated white heads that will rebuff each and every stroke, remaining as textured and immaculate as when the chap in the factory first fitted them 'neath their counterhoops would be the ideal. but in similar manner to a new pair of tyres, from whence would the manufacturer's income arrive if there were never any need to have them replaced? despite taking all this into account, i would always prefer the new look, if only because i think it looks rather ginger-peachy. this particular flaw in my psyche (if indeed it is such), extends further than the percussive realm. in fact, though real leather footwear is accidentally designed to weather in a most pleasing manner, there's part of me that wants my dromarti shoes to remain every bit as shiny as they were when extricated from their drawstringed cotton bags. 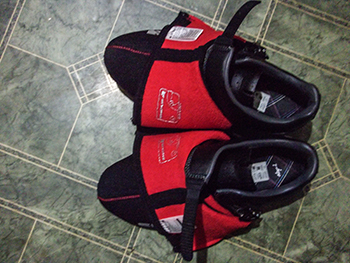 to this end, i was once wont to comment on the potential destruction that might be meted out upon their squeaky newness were i to wear then in the pursuit of cyclocrossness. rocks, grass, mud, water. the very thought would bring tears to your thighs. but in order that my conscience may be salved and cyclocrossing might be undertaken with just a smidgeon of sartorial excellence to be seen upon my feet, dromarti proprietor, martin scofield, sent a link to the exploits of a north american cyclocrosser who thought nothing of imposing a veritable panoply of iniquities upon his own pairs of dromarti sportivo offroad shoes. while i admit i'd to squint at the images through half-closed eyes, i cannot deny that the shoes seemed to shrug off everything thrown upon them, beginning the following day in pretty darned impressive condition. since those days i have concerned myself less with the wellbeing of this admittedly not inexpensive footwear. there will be those amongst you who consider that i doth protest too much, that shoes are shoes are shoes no matter the price and surely ought to survive their winter of potential discontent without so much as a murmur of complaint. however, there is now no real need to sit on the sidelines, contesting that i truly don't know a gift horse when examining its broad teeth. for the very same mr scofield has jumped in with both feet before the month of january has even begun to settle on the horizon and offer a whopping 30% off the retail price, reducing the cost of ownership from £223.70 to a far more palatable £156.59.